Trees can provide extensive benefits to your home or office. However, living with a tree on your property comes with its risks. How can you know when it’s time to let a tree go? What happens when a tree starts to become unhealthy? Trees can start to decay over time and the branches or limbs can become dead, diseased or grow too large, they risk falling and causing injuries or damaging homes, cars and other property. Trees growing out of control may pose a huge risk by overcrowding or choking out other trees or spread diseased areas from one tree to the next. With all of these possibilities, you should be inspecting your tree regularly to see if it’s time to do some pruning and trimming. However, in spite of the most determined efforts, there are cases where trees should be trimmed. Diseased and aging tree branches and limbs can pose a threat to the safety of your home. At what point do you determine when you need to hire professional help? In this article, Winter Park Tree Service provides four ways for you to tell if your tree could use a trimming. You never want to let your trees grow beyond your control. If they are growing too large, or there are branches invading areas where they will cause safety issues or aesthetic concerns, it might be time to trim your tree. You’ll want to take care of this problem early because if the tree experiences too much-uncontrolled growth and you are forced to prune a large amount of it, you can seriously damage the tree. Removing large branches or whole parts of the top of your tree is known as topping, and is not recommended as it seriously stresses the tree and can cause safety issues to develop in the future. Pruning wounds that are too large also allow bacteria, fungi, and other pathogens to enter and attack the tree easily. Therefore, it’s a good idea to prune the trees early before they grow too large. If a tree becomes diseased, you’ll want to remove the infected areas quickly if you can. Allowed to spread unchecked, diseases can easily kill a tree and spread to other trees, weakening and killing them too. There are many ways that diseases can manifest themselves in a tree, depending on the cause and the symptoms. Regularly inspect the leaves of your tree, checking for discoloration, premature falling, and signs of fungal growth. If the tree has developed a fungus, you might see necrotic lesions on the leaves, or a white fungal growth as in the case of powdery mildew. You might see blisters or spots on the leaves as well; often the fungi block the part of the tree that delivers oxygen and nutrients. It’s important, therefore, to prune away diseased areas. You may also need to treat affected trees with fungicides. Sometimes the infections can spread beyond the leaves and into the branches themselves. If you notice that your branches are decaying, you’ll need to take immediate action to trim the tree because decayed wood can become extremely weak and brittle, leading to safety concerns. Sometimes it’s not a disease that leads you to need to trim your tree, sometimes it is damaged or other stressors. If a branch has become wounded somehow, whether, by a storm, an animal or some other cause, it can become weakened and create a potential safety hazard. You will also want to check if any part of the tree is growing in a strange shape. Malformed branches may have poor structural integrity and this might lead to falling. Certain trees, such as elm and maple, can sometimes tend to grow branches in weakly. If this happens, the branch may become to heavy for the tree and be at risk of falling. Seeing a weak branch union is another sure sign your tree needs trimming. Winter park Tree Pruning can inspect your tree, we can do another inspection if there has recently been a storm or flood in your area. Some damage will be obvious, such as large, hanging limbs that have been broken off by the wind. These should be removed, as well as any other smaller branches that have been damaged. Smaller branches should be trimmed all the way to the larger branches that they sprout from to minimize the risk of diseases entering the tree. Only trim what you need to after a storm; even if the tree looks strange afterward due to missing leaves, those will grow back quickly but if you overrun your tree you may permanently damage it. You will also want to inspect the roots of your tree. If there has been a flood, and the ground has become soaked, the roots can become damaged. Unfortunately, if the damage is too severe you may have to have the tree removed. We know how unsightly and frustrating a dead tree or limbs can be on your property. 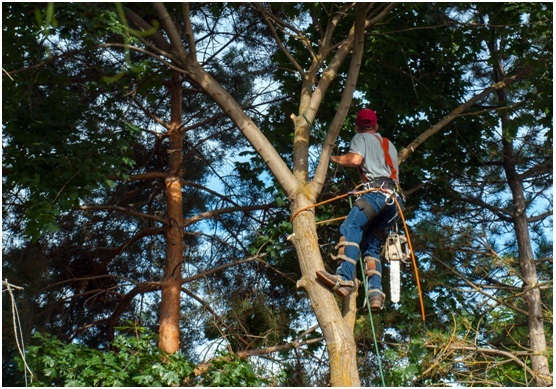 We guarantee our professional arborists work from start to finish. Check out the many promotions we offer such as $100 off any job over $1000. 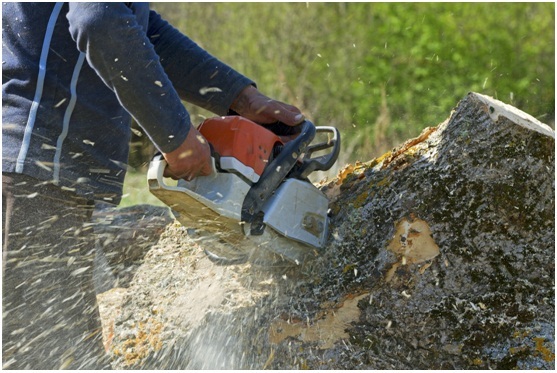 We are committed to excellence in all tree pruning, cutting, trimming and removal services. We are always committed to protecting our customers, their properties, loved ones and pets as well. Trees can provide extensive benefits to your home or office. However, living with a tree on your property comes with its risks. How can you know when it’s time to let a tree go?